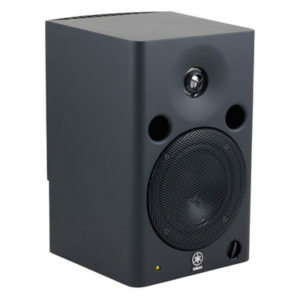 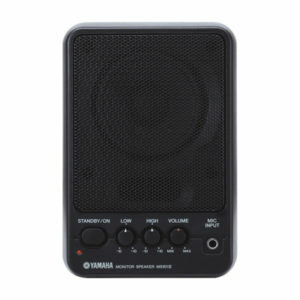 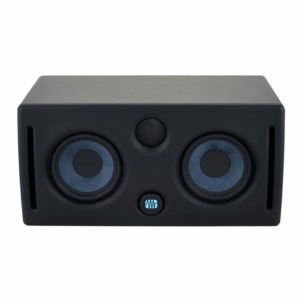 The Mackie MR624 Studio Monitor is a powered 6.5″ 2-way reference speaker that is designed for mixing and monitoring in your home or project studio. 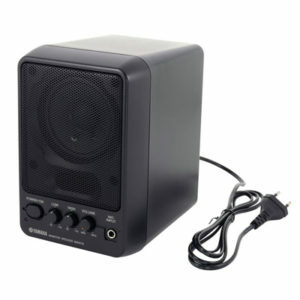 It features a logarithmic waveguide system that aims to minimize reflections and diffractions for a wider sweet spot, plus a custom-tuned rear port to help ensure an even bass response. 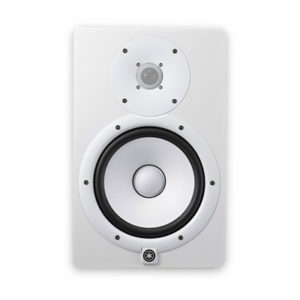 The MR624 is equipped with matched amps and drivers for an optimized 65W Class-A/B bi-amplified system. 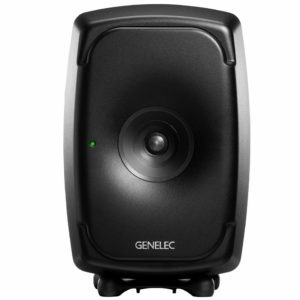 The speakers can also be optimized to your mixing environment with the adjustable acoustic space filters designed to maintain a flat response in typical placement configurations. 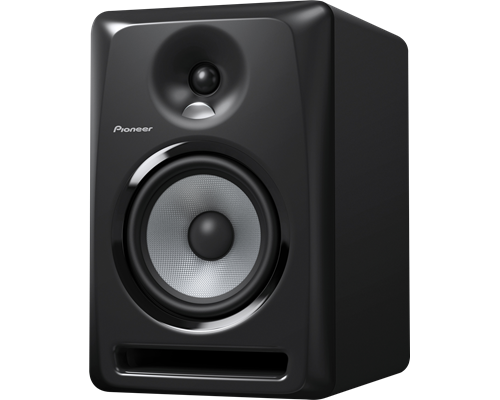 Additionally, a high-frequency filter applies a boost or cut to compensate for particularly bright- or dull-sounding rooms. 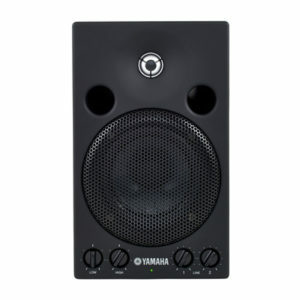 The MR624 has been designed with flexibility in mind, featuring XLR, TRS and RCA monitor inputs. 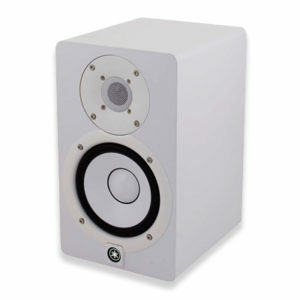 The speaker has been housed in an all-wood cabinet that has been treated with acoustic absorption material for a tighter response. 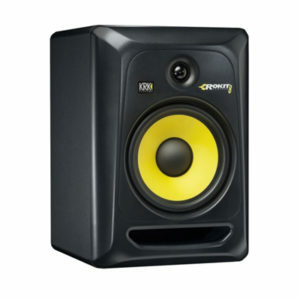 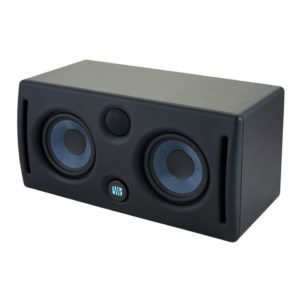 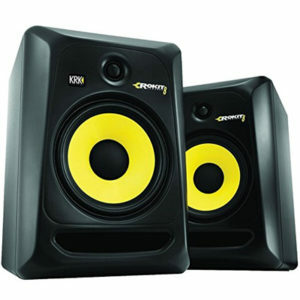 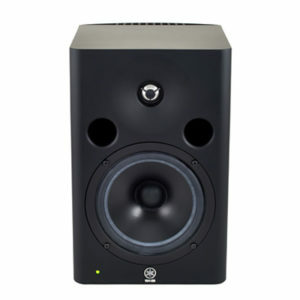 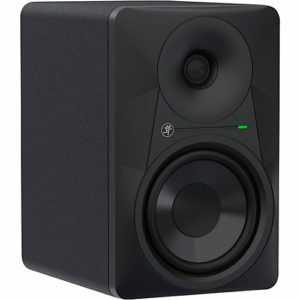 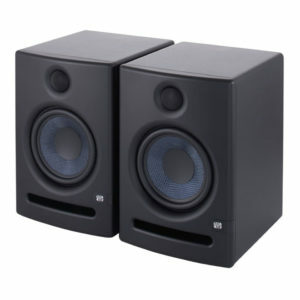 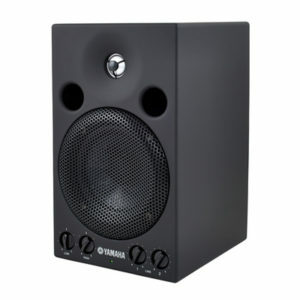 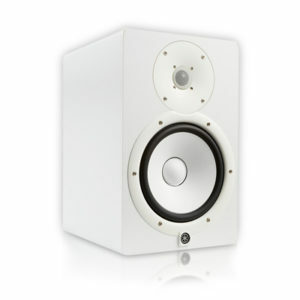 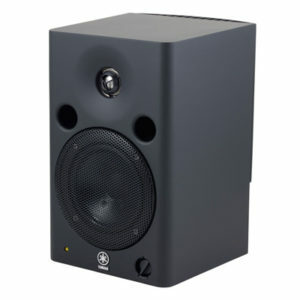 Additionally, the MRS10 studio subwoofer can be added for a more powerful, extended low end. 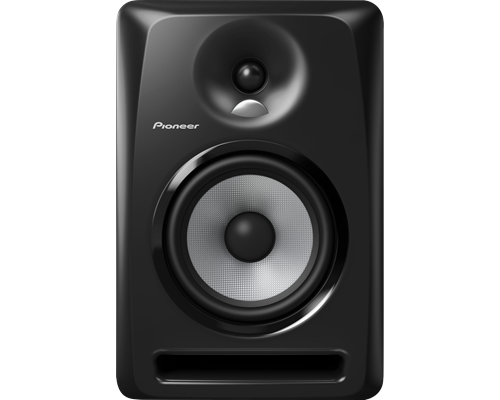 The MSP series has become the new standard in reference monitors, and is now augmented by a new, compact member: the MSP3. 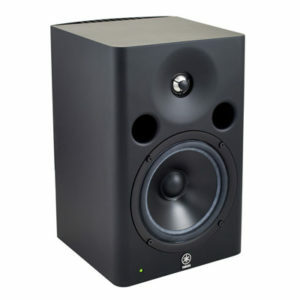 Although compact in size, the MSP3 faithfully delivers the high-quality reference sound you expect from the MSP series, and is an ideal choice not only for the small private studio or post-production setup, but also as a monitor for electronic musical instruments or surround reproduction. 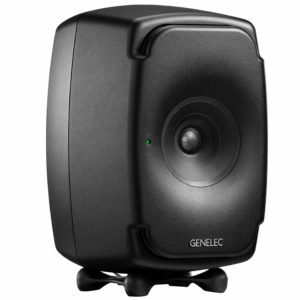 Styled in a black finish, the Genelec 8331 is a point-source, near-field monitor for pro-audio applications. 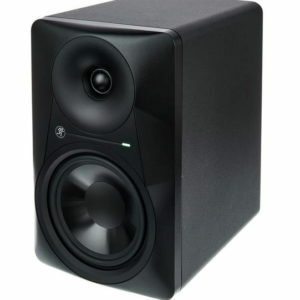 It features a coaxial design, which houses its midrange driver, treble tweeter, and dual 5.1” woofers in one location, thereby aligning their acoustical axes and ensuring an accurate point of sonic radiation. 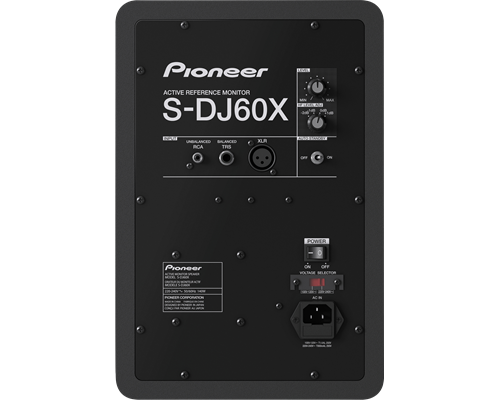 The monitor can accept both analog and digital AES/EBU signals from separate XLR jacks, using Intelligent Signal Sensing technology (ISS) to detect automatically what kind of audio is being fed into the monitor. 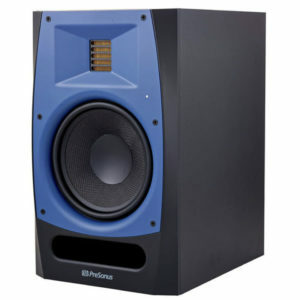 Expect accurate response, a surprisingly wide frequency range, and exceptional stereo imaging with PreSonus Eris E44 powered studio monitors. 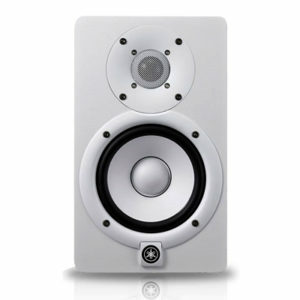 With a single silk-dome tweeter positioned between two woofers, Eris E44 monitors create a large sonic sweet spot with smooth on- and off-axis response which will help you make better mix decisions. 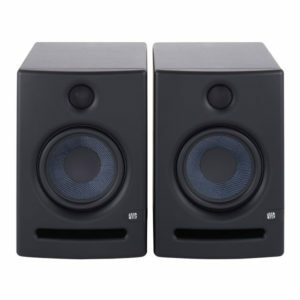 With their acoustic tuning controls to compensate for proximity to walls or corners, these monitors will sound great in just about any room. 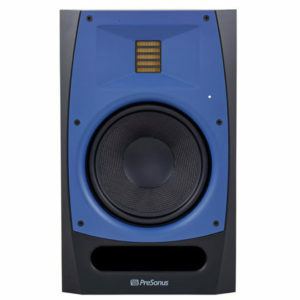 Whether you position them vertically or horizontally, PreSonus Eris E44 powered monitors are outstanding in their class.